This photo provides a clear look at the tailstock lamination; quartersawn fir. The tailstock sits in two bronze bushings and is kept from turning by a thumbscrew pressing on a brass plug. 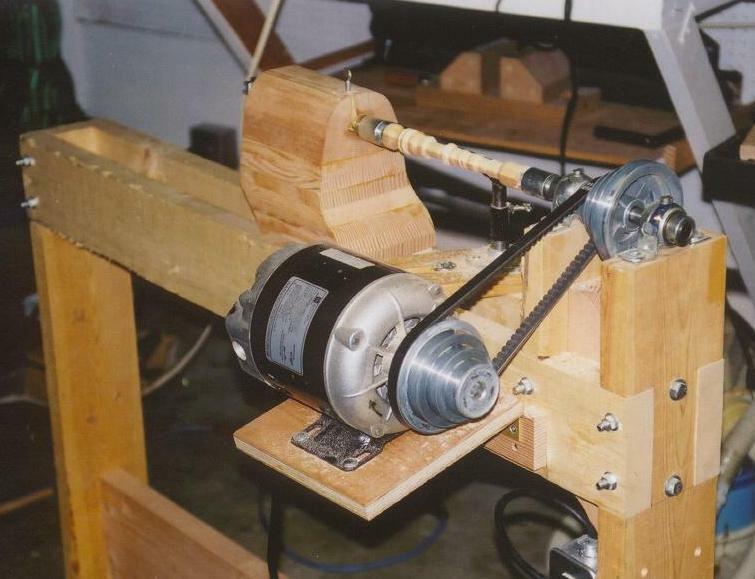 The weight of the motor is sufficient to tension the belt.